- Drop coins by tapping or swiping the screen! - Catch the falling gems! 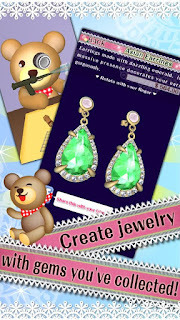 - Create jewelry with gems you've collected! 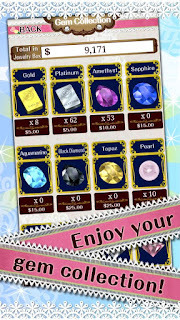 - Enjoy the jewelry collection and become the Jewelry Princess! Twelve kinds of gems can be collected; e.g. diamond, ruby, emerald, pearl, etc. Use your gems to create your own jewelry, such as rings, earrings, necklaces and tiaras! 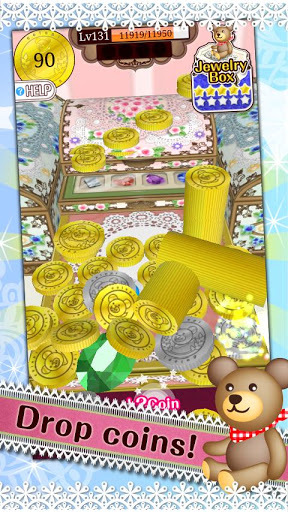 Enjoy your jewelry collection by rotating your pieces in different angles. To complete your jewelry collection, try to create every type of accessory. Unlock all the secrets and receive the Grand Tiara! 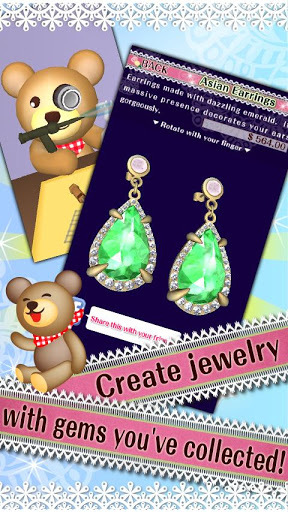 Create the Tiara and become the Jewelry Princess!!! How do I create every piece of jewelry!? First, create the Ribbon Ring, Pink Diamond Ring, Aquamarine & Sapphire Ring and Open-heart Necklace, and then you will be able to create the Antique Necklace. 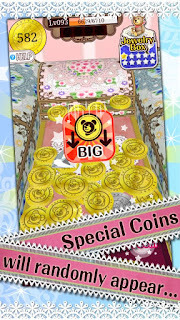 - Special coins help you collect coins faster - For example: +2 coins, +5 coins, +? coins, Squeeze bonus, Metamorphosis coins, etc.